Happy Hour: two of our favorite words, especially when some of them are in walking distance from ONE Mission Bay. We’ve mentioned a few of our top spots in the past but now it’s time for an update on the best happy hours by OMB. 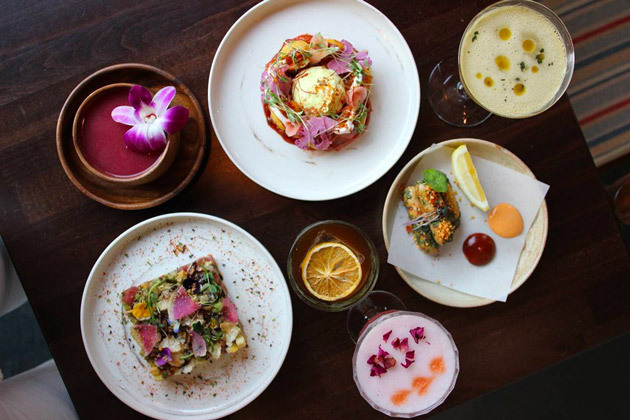 ROOH SF – Only half a mile walk from ONE Mission Bay, ROOH SF serves contemporary Indian cuisine, and a happy hour just as impressive. Available from 4-6pm on weekdays at its cobalt blue bar (trust us, you can’t miss it), ROOH is serving up small plates which include assorted papad with homemade chutneys, Goan chorizo scotch eggs, and lentil kulcha with truffle butter, starting at $5 each. 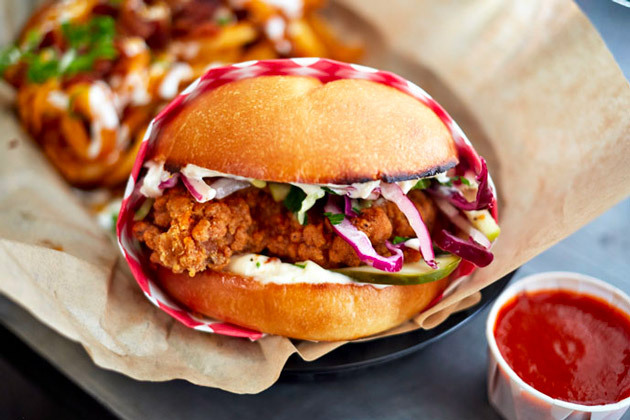 Be sure to wash everything down with an $8 glass of wine or $5 beer. Petit Marlowe – Another OMB neighbor, Petit Marlowe is a Parisian-inspired wine bar and oysterette, complete with gorgeous French décor, an iron-streaked marble bar, and sophisticated fare. 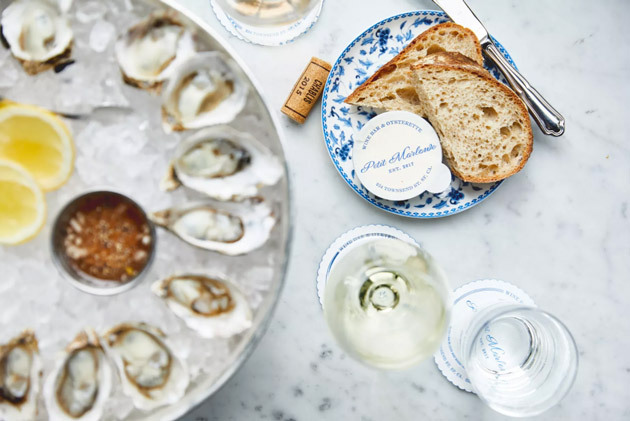 From Monday through Saturday between 4-6pm, Petit Marlowe offers half-price oysters and $25 bottles of rose. What are you waiting for? Perbacco – Located in the Financial District, Perbacco offers a seasonal menu of Piedmont-influenced Italian food and wines. Often saved for special occasions, the upscale restaurant has just introduced weeknight deals that are sure to entice diners. From Monday through Friday between 2-6pm at the bar, customers can enjoy $9 wine and cocktail specials, $5 beers and an array of snacks ranging from roasted shishito peppers, fagiolini fritti, and the always popular chicken wings with ajoli picante.